Saint Laurent bags have been adored by models, mothers, girls and women in general. All of this is possible due to the fact they offer a unique combination of appeal, practicality and quality. 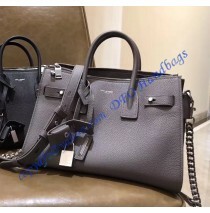 As such this made them the number one choice for most women who simply want a new bag. The Saint Laurent Baby Sac De Jour Souple Duffle Bag is one of new models which impressed all of us as soon as we saw it for the first time. There is no way you won’t notice the chain and leather shoulder strap. It is fully adjustable, but you can remove it as well. The leather used for this bag is extremely resistant, strong and it comes with supple, yet noticeable look. Additionally, you are going to notice side gussets and compression tabs on the bag. They look great and they make this bag look even better or more appealing if you like. Grosgrain lining is implemented as well. It looks just perfect with this bag. If you like specific metals used in your bags, this is the right choice to make. The oxidized nickel metal elements make the bag look different than any other model available on the market at the moment. Inside, you get plenty of space alongside one zip pocket and a slot for all your items you may need or have to carry with you, regardless of where you are heading at the moment. 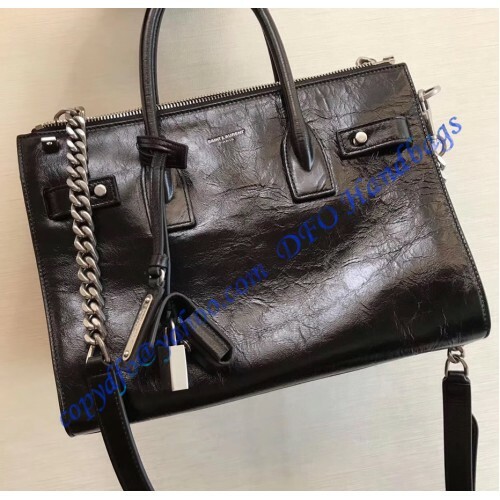 At the end, all we can say is that the Saint Laurent Baby Sac De Jour Souple Duffle Bag comes with extraordinary quality (100% calfskin) it is made to look great and also to attract eyes of others and it is practical. 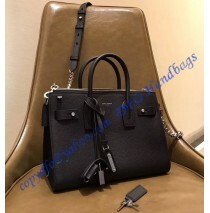 There isn’t a single reason why you should avoid this bag.